Dedicated to writer and founder of Churaevka Russian Village in Connecticut, George Grebenstchikoff’s 130th birthday. George Grebenstchikoff, Russian emigrant, essayist, writer and professor, enjoys a worldwide reputation as one of the 20 century’s most versatile and influential cultural figures. 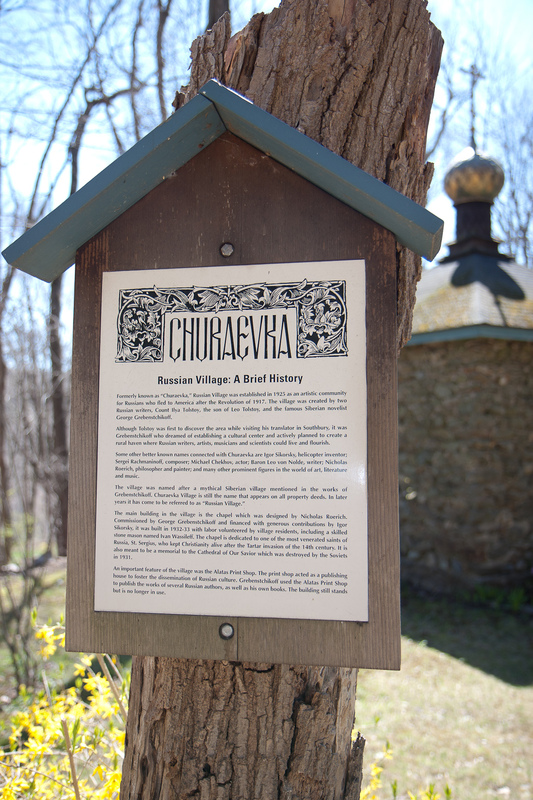 “Churaevka” is the Connecticut cultural center for Russian writers, artists, musicians and scientists, established in 1925 by Russian immigrants who fled to the United States after the 1917 revolution. Among the residents of “Churaevka” were writer George Grebenschikov, painter Nicholas Roerich, composer and pianist Sergei Rachmaninoff, and Ilya Tolstoy (the son of Leo Tolstoy). The Pushkin Society in America has been building communities through Russian emigrant-related activities. The first meeting took place in New York in 1935. This entry was posted on February 21, 2013 by admin in 2013.